Richmond Stephens, A good friend has left the world. at Zebra Falls! Richmond Stephens, A good friend has left the world. 2 Comments Published April 14th, 2007 in Friends! I shared many common experiences with Richmond. He was extremely intelligent, witty and kind hearted. In the parlance of old soldiers; “He would do to ride the river with” and “Heâ€™d seen the elephant.” When Richmond was with me I never worried about my back. I shall miss him and I wish he could have stayed here longer. I wonder what kind of aircraft he is flying now! God Speed my friend! 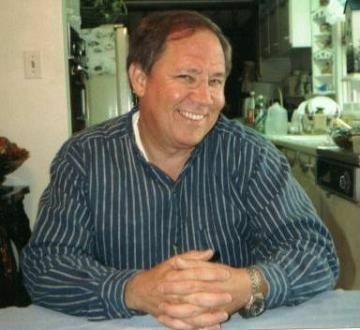 Ashville ï¿½ William Richmond Stephens, 57, formerly of Birmingham and Huntsville, was born in Waco, Texas, on April 11, 1949. He died February 18, 2007 at a Birmingham hospital. Richmond graduated from Handley High School, Roanoke, Auburn University (bachelorâ€™s degree in accounting), Samford University (MBA) and Cumberland School of Law (Doctor of Jurisprudence). Following two tours of duty as a helicopter pilot in Vietnam, he served 25 years with Alabama National Guard. He was an attorney, college instructor, businessman, and consultant to foreign governments in the War on Terror. Among his many activities were Master Gardener, Masons, Cahaba River preservation. He was a member of First Baptist Church, Roanoke. Mr. Stephens was preceded in death by his mother, Laura (Beth) Quinn Stephens. He is survived by his father, William C. Stephens; stepmother, Inez Stephens; sisters, Laura Patterson, of Huntsville, Sue McWhorter and husband, Larry, of Madison, Kendra King and husband, Brad, of Roanoke; step-sisters, Phyllis Rutherford, of N.C., Vicki Clark, of Ga.; step-brother, Chris Rowe, of Fla.; nephew, Adam Boothe and wife, Deborah, of Huntsville; great-nephew and -niece, Blake and Grace Boothe; one aunt, Nellie Ruth Fields and husband, Buddy, Pine Bluff, Ark. ; eight cousins and a host of good friends. In lieu of flowers, memorials may be made to Southern Museum of Flight Foundation, 4343 73rd Street N., Birmingham, AL 36274. Visitation will be Saturday, March 3, 2007 from 11 a.m. to 1 p.m. at Quattlebaum Funeral Home in Roanoke with the funeral service at 1 p.m. Burial will follow at Mt. Pisgah Cemetery.